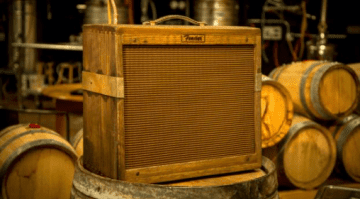 Fender is announcing its brand new Hot Rod IV amp range at the NAMM 2018 Show. They’re already showing up on dealer sites around the UK and have been the subject of a customer email today, so looks like they’re available to order. But is this just a cosmetic makeover or are there other improvements under the hood? This new range consists of four new guitar amp models, the Blues Junior IV, Pro Junior IV Ltd, Deville 212 IV and the Deluxe IV. 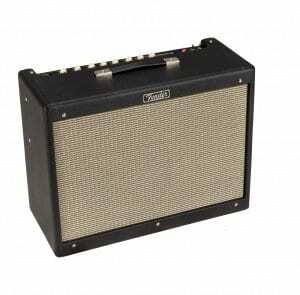 Fender states that each amp has an upgraded Drive channel, ‘improved circuitry’, new reverbs and updated styling for 2018. Essentially this is the fourth version of one of Fender’s biggest selling guitar amp ranges in recent years and they now have things like pine cabinets instead of ply cabinets on some models. 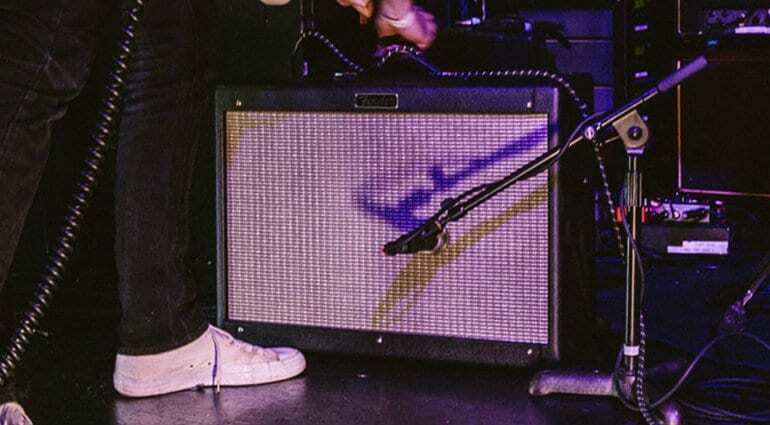 They feature Celestion A speakers rather than Eminence on a few of the models, which is a pretty big deal, as Fender has used Eminence for years. Another change is cosmetic, with lightly aged grille clothes and improved white text on black control panels. That should make them easier to read when you are dialling in your tones. 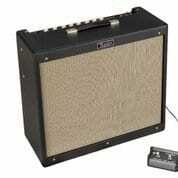 This is a 15-Watt combo with a Celestion 12″ A-Type speaker loaded. 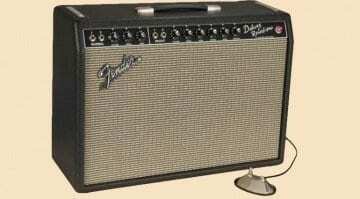 It has an ‘improved’ preamp for increased fullness, whatever that means, and a Spring Reverb for ‘improved’ smoothness. Sounds like they have just ‘improved’ it all around, but I would have to A/B them with the old version to give you an honest opinion. Includes a single-button footswitch to engage the FAT mid-boost circuit. 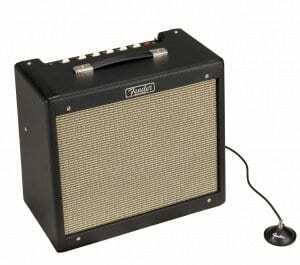 A 15-Watt amp with a 10″ Jensen P10R speaker, this vintage-style amp has a lacquered tweed finish and comes with a new modified volume circuit for 2018. It allows the amp to ‘break up’ more gradually than its predecessors; hopefully, that makes it a more usable amp for recording and studio use. 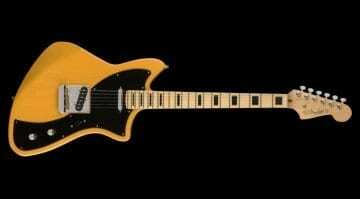 It has also been described as having a tighter bass response compared to earlier versions. It runs on a 2 x 12AX7 and 2 x EL84 valve combo, which is standard for this kind of amplifier circuit. Expect classic American ’50s style gain and tones from this model. 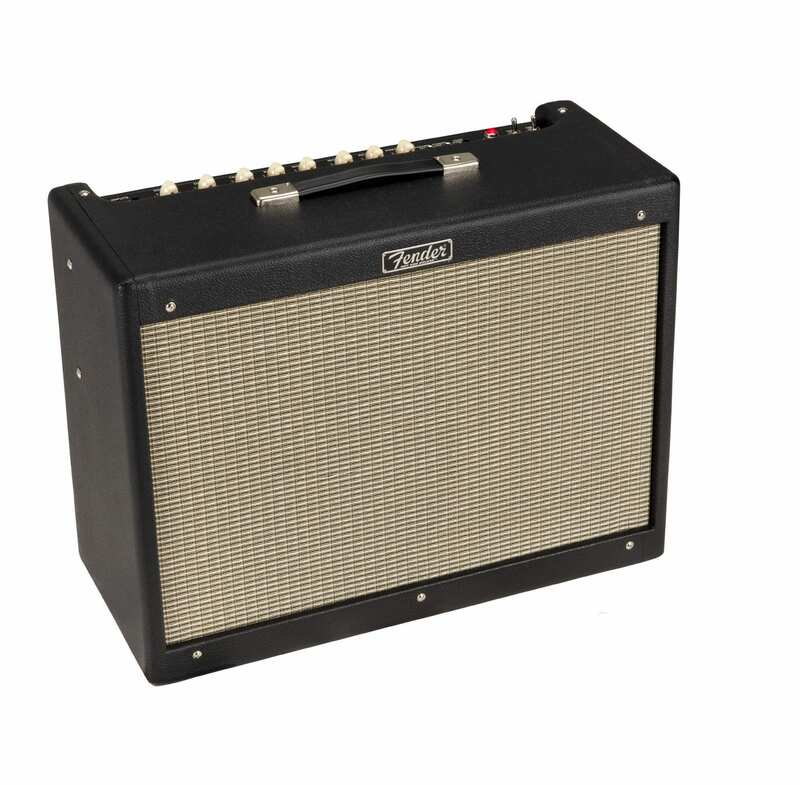 The Deville is only to be offered in a 2×12″ version, so no more 10″ versions for 2018. It’s now in a lightweight pine cabinet, a nice upgrade compared to the old ply versions. 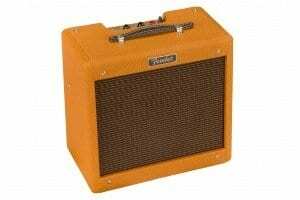 This time we get dual Celestion 12″ A-Type speakers loaded into that cab, and a modified preamp for increased overdrive note definition and a smoother spring reverb. Includes a two-button footswitch and a cover in the price. 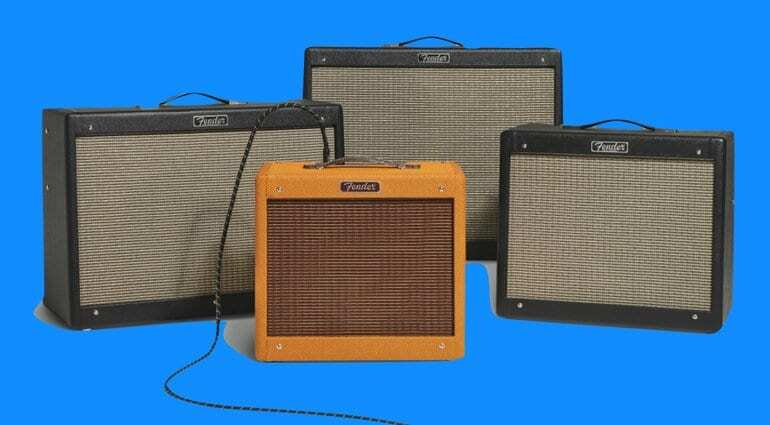 These all look like significant improvements over earlier versions of these amps and I have included the official Fender demos below, as well as an Andertons review to give you an idea of how they all sound. 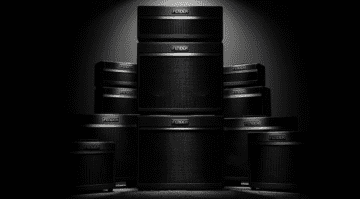 If these amps are a genuine improvement over the previous model generation, I can see Fender selling bucket loads of them. According to the Fender US release, both the Blues Junior and Pro Junior will now come with particle board cabinets instead of the current plywood-not what I would call “improved”.